This section contains techniques for drawing circular items. These items may be linear (such as road sections) or polygonal (such as buildings; territories; administrative divisions; and vegetation, terrain and hydrographic items). There are general drawing techniques that are used to draw all the aforementioned categories. Click Create. Select the appropriate item category (Road or Building ). The attribute panel and local toolbar opens. 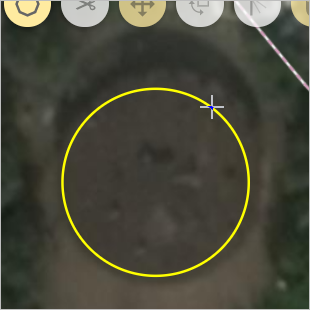 Click Circular mode in the local toolbar. Hold your cursor on any arbitrary point of the circle that you plan to draw. 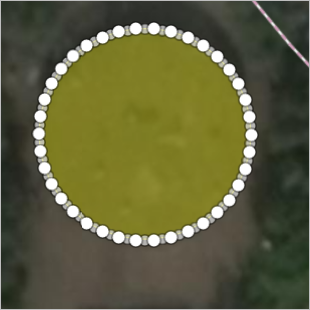 Hold and drag the mouse toward the opposite side of the circle you are drawing. 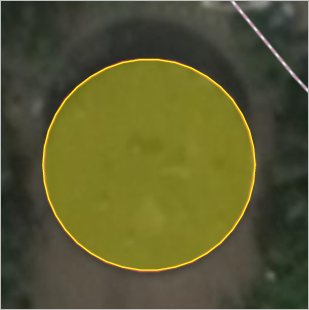 When the circle has reached the appropriate size, let go of the mouse button. 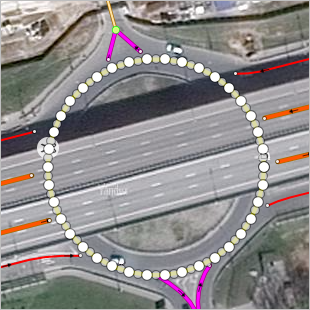 If you draw a circular road section, you can then split it after its saved (road sections should have beginning and ending points). 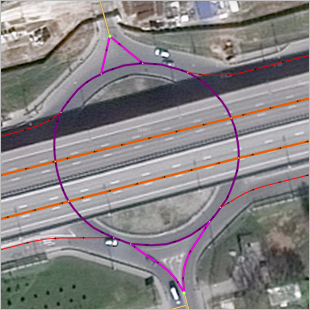 If you draw a circular road section and then save it, it will be automatically linked to the vertexes of road sections that were drawn earlier and divided into separate sections at the places where it intersects with those other road sections. 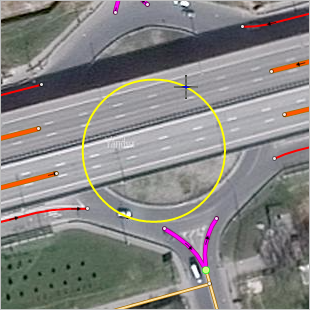 If you break any drawing rules (for example, if sections of road overlap), you will get an error message that indicates the overlapping spots when you save the item. 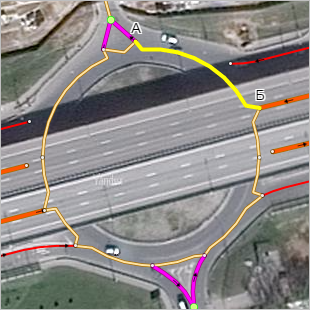 In this case you will have to correct sections of road that were drawn earlier and re-draw the item.